Have been building for something FebRovery. This is a FebRovery Tanker. The model itself is about 18-studs long, about 6-studs high, and 6-studs width. 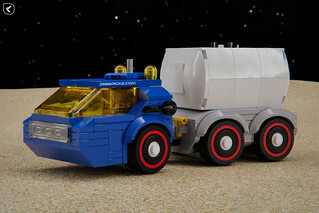 The model features classic space livery, fits one space minifig in the cabin, articulated manual steering and suspension.